for adding aesthetic qualities to everyday things, defines the spirit of Jøtul. 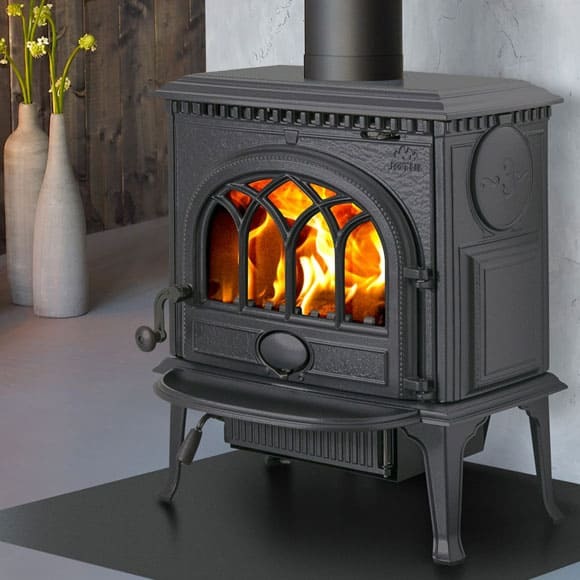 The stove has an open door fire viewing effect allowing you to see the whole flame picture. It provides natural convection to increase heat circulation to the furthest corners of the room. 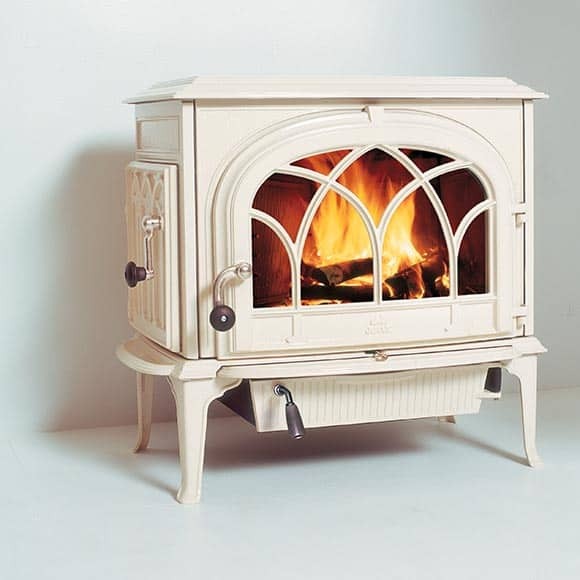 The F100 is a Small wood stove with character. 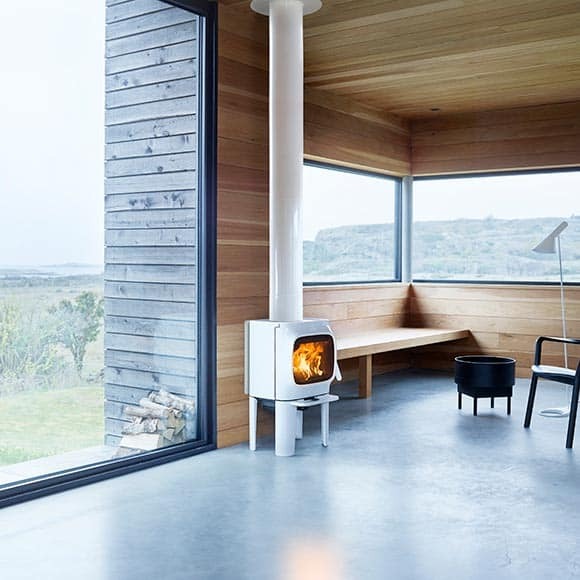 The wood stove has a large glass door that provides a perfect view of the burning logs and it is characterised by a traditional pattern used in Norwegian craft work. The Jøtul F 105-series has a confident and friendly character. 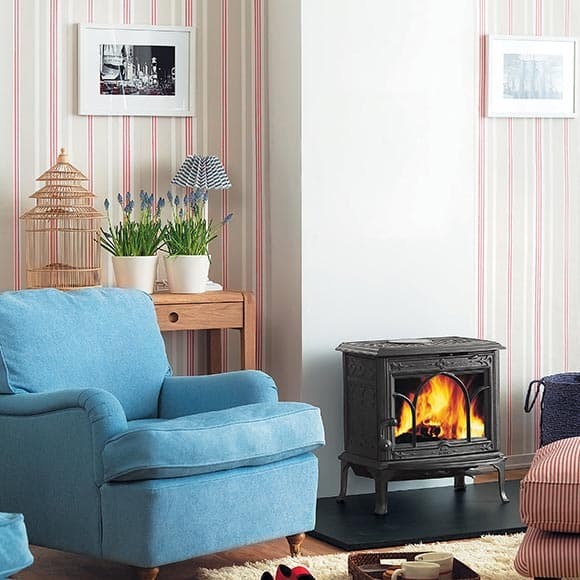 In spite of its size the Jøtul F 105 is a wood stove that stands out from the rest. 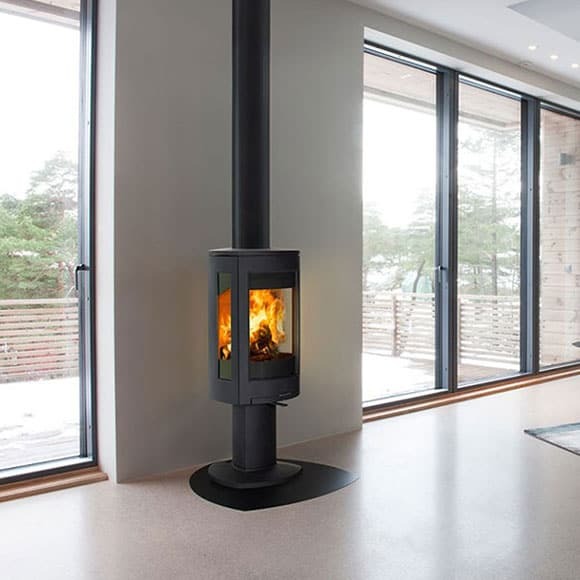 Some of the distinctive design elements of this short log burner include the large horizontal glass door, which offers a great view to the fire. 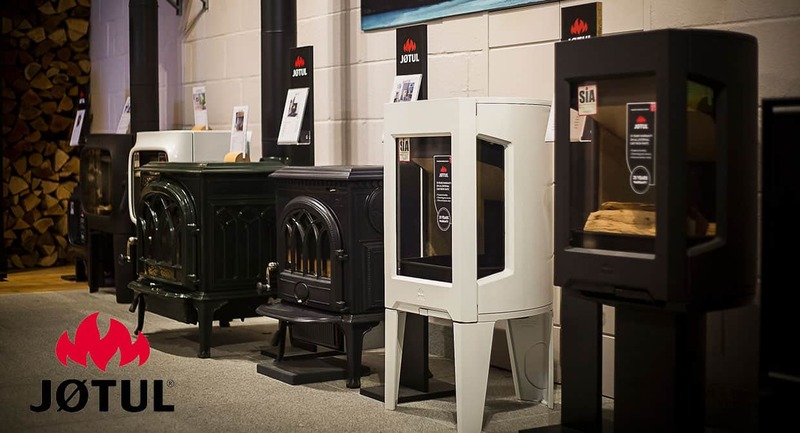 The Jøtul F 305 wood firebox series consists of two models. The horizontal design makes it easy to place logs and provides a rapid heat transfer to the room. Integrated convection reduces the distance to combustible materials at the rear. 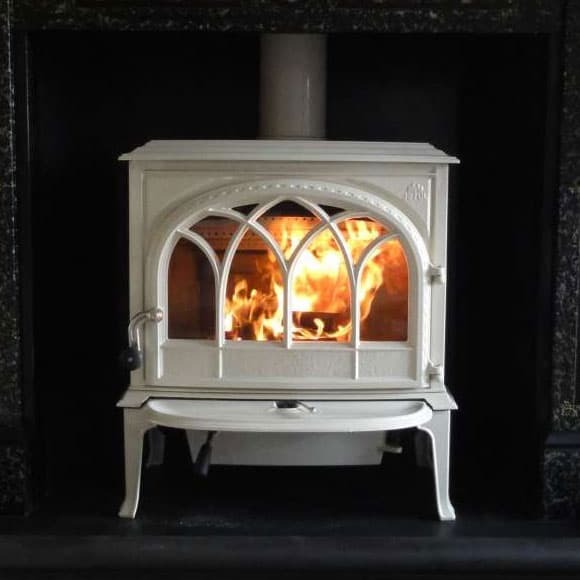 This is a large wood burning stove in a classic design, with one of the largest style doors available, which gives a fantastic view of the flames. 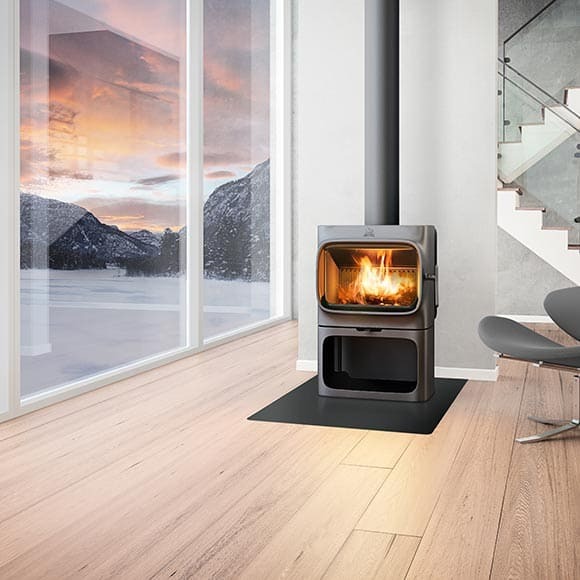 With all of the technological features of its smaller cousins, the Jøtul F 600 is a large and timeless log burner. 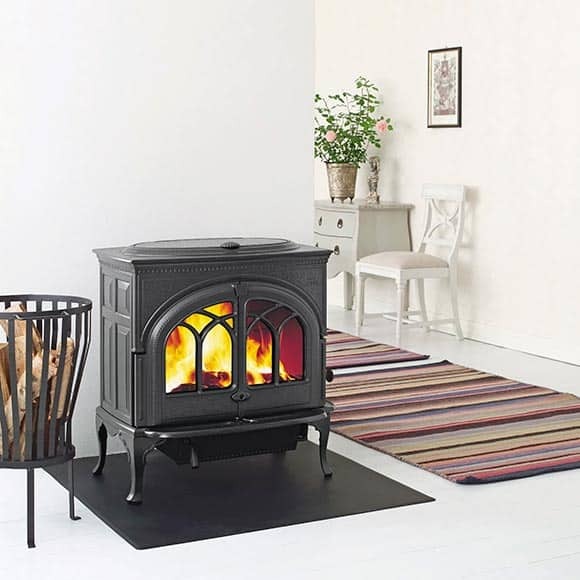 It is designed to have room for considerably sized logs and has a large firebox volume to heat much larger rooms.